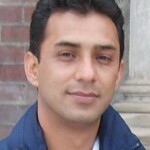 Robin Sitoula is President of Samriddhi, The Prosperity Foundation – a public policy institute based in Kathmandu, Nepal. He first became involved in youth activism in 1997. In 1999, he joined Youth Initiative as a co-founder of the organization. Since then, he has been designing, developing and conducting programs meant to bring leadership skills and civic awareness to young students and young policymakers in Nepal. He is also the founding President of Liberal Youth South Asia and has traveled extensively throughout South Asia to conduct programs in free market and democracy with young people in the region. He has been a delegate to the International Visitor Leadership Program (IVLP) of the Department of State and a visiting fellow at the Atlas Foundation. Mr. Sitoula graduated with a degree in Investments and Financial Management (MBS Program) from Tribhuwan University of Nepal. He has co-authored research papers on youth employment status and youth political organizations and their influence in Nepal. His areas of interest are public policy, youth empowerment, and development.